The mission of the Ola Grimsby Institute is to provide the highest quality integrated post-graduate manual therapy education in orthopedic manual therapy. The Institute’s programs aim to develop a competent and autonomous professional capable of diagnosing and caring for patients with neuro-musculoskeletal dysfunction. The Institute serves to support, encourage and facilitate the pursuit of excellence in orthopedic patient care by advancing the skills and intellectual competency of the clinician and by encouraging and requiring clinically relevant research The instructors exemplify the manual therapy clinician as well as enable the fellowship student to understand, synthesize and apply scientific knowledge, manual skills, and critical thinking to patient assessment and intervention. We do this by enabling our students, who are practicing manual physical therapists, to design scientific, evidencec-based treatments for the health of each individual patient, resulting in a reduced number of treatments and improved outcomes. Offering certificate programs and degreed programs in manual therapy. Offering continued education courses for not only physical therapists (PTs), but physical therapy assistants (PTAs), athletic trainers (ATCs),and orthopedic therapists (OTs). Providing a supportive, student-centered learning environment, which enables students to meet their educational and career goals and achieve positive learning outcomes. Using a skills-based and outcomes- based approach to education. Providing excellent educational programs and services to students on-site and online that meet student, employer, and community needs. The mission of the OGI Orthopedic Residency program is to encourage the Residents, instructors and clinical mentors to be life-long learners in the art and science of orthopedic manual therapy (OMT). The program serves to develop an initial pathway for Residents to move toward clinical mastery, and progression toward Fellowship training, with a foundation in clinical science, critical thinking and evidence-guided practice. The knowledge base acquired in Residency training serves to prepare the graduate for the Othopedic Specialty examination. 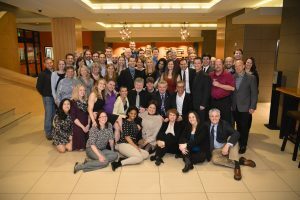 The mission of the OGI Fellowship program is to encourage the Fellows-in-Training (FITs), instructors and clinical mentors to be life-long learners in the art and science of orthopedic manual therapy (OMT). The program serves to develop an initial pathway for FITs to move toward clinical mastery in OMT with a foundation in clinical science, critical thinking and evidence-guided practice. Promoting a culture of mentoring mentors, pedagogy and teamwork crafts a community to students and instructors that are constantly pushing each other to do better than it has been done before. Teaching is inspiration. The Ola Grimsby Institute philosophy centers on outcome-based learning. OGI encourages students to work to achieve their highest potential while in working their clinical practice. The OGI strives for excellence and quality in everything it does and instills in its students the same aspirations. The faculty and administration of the Ola Grimsby Institute believe in the power of people helping people, and we strive to apply this belief to the students, faculty, staff, therapists and patients associated with the Institute. We believe that when one person is helped, everyone is a little better for it. We are therefore dedicated to helping as many people as possible by expanding the practice of orthopaedic manual physical therapy based on clinical expertise and the most current understanding of the human neuro-muscular-skeletal systems. As an internationally-focused, professional, education consortium, we design all of our programs with respect to the social, cultural, and professional implications unique to each region in which our programs are offered. This means that elements such as curricula, presentation, and pricing structures are designed to serve the students and their patients in each unique part of the world where the Ola Grimsby Institute operates. Knowledge – Integrating a thorough understanding of anatomy, physiology and biomechanical function with the process of clinical reasoning, analysis, diagnosis and decision-making. Practice – Extensive hands-on experience with patients to achieve the advanced manual skills for assessment and intervention of movement dysfunction. The Institute believes that the professional development of the physical therapist is an ongoing and continuous path; therefore, one of the Institute’s responsibilities is to provide practicing physical therapists and other healthcare professionals with instructional programs in outpatient orthopaedic manual therapy that are current and inclusive of evolving research. The progression of our ongoing professional education programs includes the Clinical Certification, followed by the Residency Program, and Fellowship Certification; both of these programs are credentialed by the American Physical Therapy Association (APTA).